It was a bit of a surprise on my first visit to see the eight creatures of the zodiac featured in every pagoda. 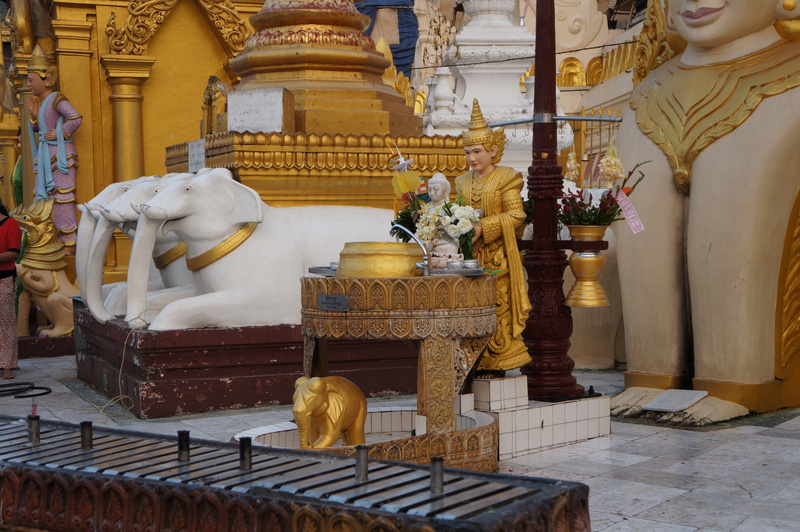 People would go to their animal or creature and salute it by pouring water over the statue while wishing for a good outcome to their endeavours. I eagerly looked for my day and found I was a guinea pig. What? A guinea pig? They aren’t native to Burma and never have been, yet this tradition goes back to the animist worship that pre-dates Buddhism. The guinea pig statues looked suspiciously like tailless rats to me. Was it a mistranslation? One person I asked said they had seen the day ascribed to the rabbit in times past, but since none of statues had ears people preferred “guinea pig.” Another suggestion was that it was a species called the bamboo rat, but that bigger rat had a tail, and why feature two rats in the list? My big revelation in this blog post is that I have found out exactly what the tailless ratty, guinea piggy, rabbity creature really is. It’s a pika. The lightbulb moment came while watching a BBC documentary on the natural history of India. The team went to the far northwest hills in Assam and filmed these shy little creatures foraging in meadowland and on rocky slopes. They are small, between 5-9 inches long, tailless, with soft coats and faces much like rabbits, but no ears, similar to guinea pigs. 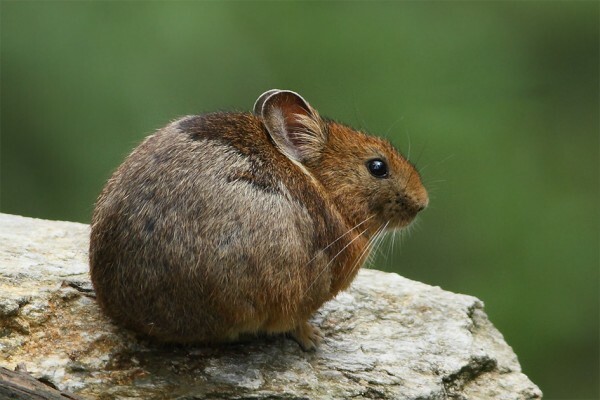 This had to be it – the Assam area had very fluid borders with Burma in the past, the astrology and astronomy traditions originally came from Hindu practices, and to cap it all off, the pika is an inhabitant of Myanmar, according to this article. Now, how do I convince the entire Myanmar nation to accept my findings? Answers on a postcard, please, or you can just reply to this post. This entry was posted in Travels in Burma. Bookmark the permalink. Funny, there are pikas here too! I have been interested in the puzzle of the Burmese Guinea Pig for several years, after hearing about it in a lecture on the Shwedagon. The idea of it being a pika certainly fits with some of the ‘guinea pig’ characteristics but I am not convinced. I have recently returned from Burma and spent some time collecting pictures of guinea pig images and sculptures as well, as asking people if they knew the animal. Everyone I spoke to around Bagan told me they knew the animal and that it was once common but is rarely seen these days. This would rule out the pika as it is not found in that area. I am now almost certain that the guinea pig is actually a lesser bamboo rat (Cannomys badius ) as this is the only rodent I can think of that is guinea pig shaped and closely matches the animal on the pictures I collected. It does have a tail but much shorter than the one in your picture and several of my pictures show guinea pigs with short tails. But given more evidence for the pika I could change my mind. It is also curious how this animal got into the zodiac. To my mind the Burmese zodiac seems closer to the Chinese than the Hindu, though in neither can I find a guinea pig like animal. 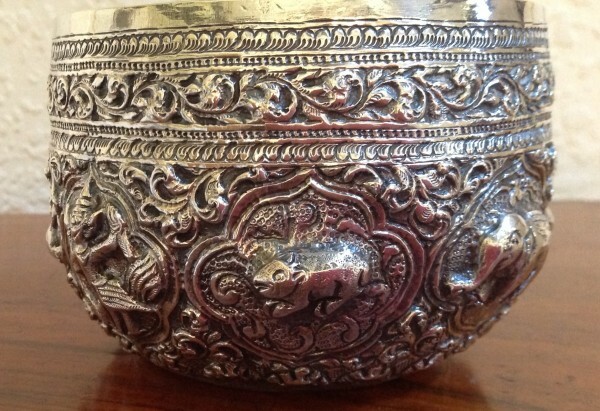 So it may be a local burmese invention, perhaps connected with the Nats or other pre-Buddhist beliefs. It is a puzzle, isn’t it? I have tried to find references to the weekly zodiac in early books. Sir James George Scott, writing as Shway Yoe, published “The Burman” in 1882. He says Friday is a Guinea pig. The whole system was borrowed from animism and made to fit. There is a ninth creature, supposedly in the centre of the pagoda, who is a monster that tries to devour the earth, thus creating eclipses. The other problem might be the language barrier. When an English speaking traveller asked for the first time what animal that was, the answer in Burmese may have been mistranslated. So it could very well have been a bamboo rat. I am still actively searching for a different result, though! another possibility is the short tailed gymnure. Its an insectivore not a rodent but the picture here reminded me of the little statues in Burmese temples – have you posted your pictures of these anywhere? The gymnure might be possible, but it does have a long, naked tail like a rat, and a more pointed face. The creatures in the pagodas are always either completely tailless or with a small stubby tail, and the snout is rounded. I myself am Burmese, and a Friday-born at that — a guinea pig! However I have never been interested in identifying the specific guinea pig type. But to see that people are taking an interest in it is heartening. I myself am piqued with interest!